Responding to a question whether Qatar's air bases could be used to launch airstrikes on Iran, al-Attiyah said that his country was not a "fan of war" and supported engagement and dialogue. 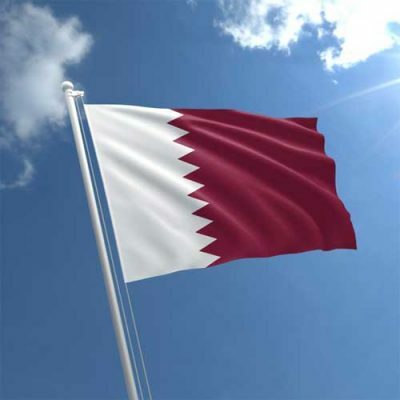 Singapore: A senior Qatar official said Sunday his country will not be dragged into any conflict with Iran. Deputy Prime Minister and Minister of Defense Khalid Al Attiyah told an international security conference in Singapore that Qatar has “a lot of differences” with Iran but it does not mean “we go and fuel a war” in the region. “Is it wise to call the United States and to call Israel to go and fight Iran? … Whether any third party is trying to push the region or some country in the region to start a war in Iran, this will be very dangerous,” he said. He did not name any party but could be referring to Iran’s rival Saudi Arabia, which has also led a blockade of Qatar with its Persian Gulf allies since June last year, accusing Doha of supporting extremists and refusing to cut ties with Tehran. “Iran is next door. We should call Iran, put all the files on the table and start to discuss to bring peace rather than war,” he said in a speech. Responding to a question whether Qatar’s air bases could be used to launch airstrikes on Iran, al-Attiyah said that his country was not a “fan of war” and supported engagement and dialogue. Qatar is hosting 10,000 US troops stationed at sprawling al-Udeid Air Base as part of its campaign against the Islamic State group and the war in Afghanistan. Al Attiyah called for salvaging a 2015 nuclear accord between world powers and Iran that offered Tehran sanctions relief for curbs on its nuclear program. The US withdrew from the deal last month. “Everyone should keep holding on to this and advance with this. In my own judgement, I think the United States is wiser than to enter in a war with Iran,” he said. He also said Qatar is “firmly aligned” against terrorism and has implemented UN resolutions and penalties targeting militants.